When I knew I would be away for a few days I decided I'd like some kind of guest post from someone. I mentioned this to a friend and asked if she'd like to do me this bloggy favor. She doesn't normally express herself in such a way, so I thought she might like the opportunity. She said yes, but needed to be anonymous. Turns out she totally had something she needed to get off her chest. Please read her personal perspective on the health insurance industry and Angelina Jolie. What do the two have in common? I asked the same question. Like me, you'll see. I work for my health insurance company. I have been a hard working employee for almost two decades now. I understand they are my bread and butter. They allow me to bring home the bacon so I can do whatever I please with it. I believe in the work I do. I am also in debt due to medical expenses. Take a moment to reread the opening line of this post again, go ahead I'll wait. I have had to sell stocks and borrow from my 401K to pay medical bills accumulated within a year's worth of time for my family of four. My kids' pediatrician told me to pack up my kids and take a hike because he's "not a bank" and doesn't extend lines of credit. Of course, he waited until I paid him in full to tell me that. The cause is not due to how I choose to fry my bacon, but in how my health insurance company, my employer, wants to share the expense of health care with me. Who knew we would long for the days of HMOs! 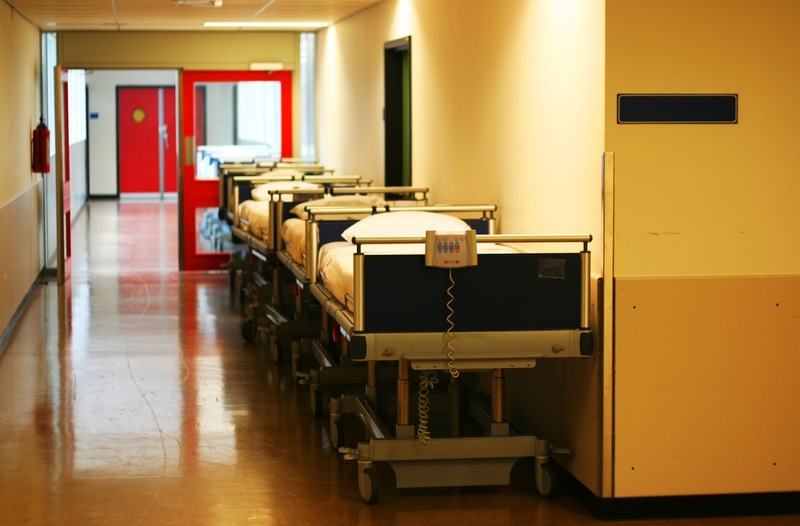 The trend is in establishing consumerism in health care. People will think about how they spend thier own money but not a big corporation. 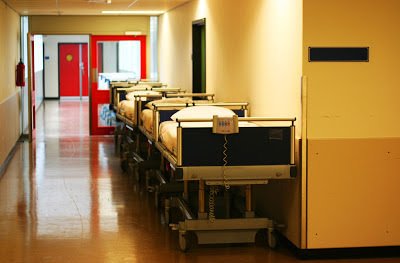 So, the health care industry came up with high deductible health plans to get us thinking about if we really need to rush to the Emergency Room or if the urgent care center will do. And if the urgent care center is okay, then can I wait till the morning to see my regular physician? My deductible per family member is almost $3,000.00. This means for anything not related to preventive care I have to pay the discounted rate my health insurance company negotiated with the doctor, until which time I have spent $3,000.00 of my own money. That's a lot of bacon. Once an individual has paid out that chunk of change, the insurance company will then start paying, but only a percentage. Most times it's 70-80%, afterall, we are sharing the cost remember? There is a cap, so if I get hit by a bus I can actually be thankful I didn't die as I lay in my hospital bed accumulating a new bill for every set of eyes that look my way. My worst year, the year my pediatrician gave us the one fingered salute, I had a scare when I found a lump in my breast. Because I am a bit more educated than the average health care consumer, and because I have access to the contracts my health insurance company has with the imagining center that was to provide the mammogram services, I felt confident in my choice to spend the money to see if I had breast cancer instead of waiting a few months to see if the lump got any bigger. Yep, those were my options. My husband and I budgeted for the $400 test, we took time off of work, and I showed up to my appointment on time. They waited until I was naked and had a valium before they decided to mention, "By the way, we gave you the wrong codes. This is going to cost a little more than the codes we gave you." Yes, I had the option to leave, but I didn't. Come to find out the procedure cost $1,500.00 plus the cost of the doctor, etc, etc. Because my deductible is so high that means it was my responsibility to pay every penny. But wait! My employer offers me a health savings account where I am able to allocate funds from my paycheck tax free to pay my medical bills. Whew.....hey man, it's still my money. *sigh. In all fairness they do put in $36 a paycheck to help me out. Swell, ain't it? So here comes Angelina Jolie telling us what a brave and wonderful soul she is for having her breasts removed as a preventative measure. Oh honey, that's a rich lady problem. Us poor folk actually have to HAVE cancer to rid our breasts of the bad tissue. We have to make choices and budget just to have a test to look at our breasts when a problem arises! It is estimated that a double mastectomy costs over $50,000.00. The website for my insurance company won't even attempt to estimate the cost for me AND will only give me the estimate for a preventive mammography, not one to check out a lump. Health care consumerism coupled with a total lack of information in which to educate yourself equals bankruptcy for many. But don't blame the insurance company; well not totally. Your employer determines what kind of coverage you will be offered. Especially the larger companies, they make all the decisions including offering executives coverage for elective plastic surgery. Chew on that! 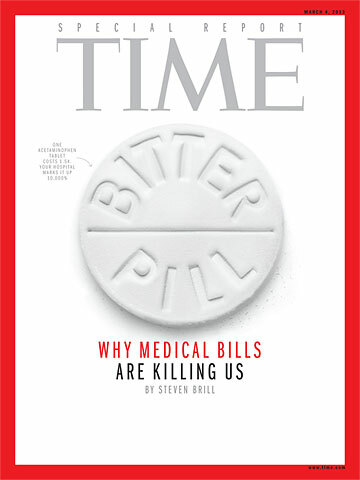 In March 2013 Time magazine ran a story called "Bitter Pill", where they exposed the cost versus the billed amount for common medical services. A bag of saline solution will cost you $84 although it retails for $5.16. I remember this because I texted a picture of this from the article to my friend to let her know her recent trip to the ER resulted in about $350 of saline being dumped into her eyes. How does ObamaCare come into play? Well besides keeping me busy at work making updates, the only thing it has done for the average Joe & Jane is to eliminate any cost share for preventive services. Great. Most health insurance paid for those once yearly services in full already. But I'm sure the trillions it is costing will make it worth while to someone. In closing, healthcare is still broken. Angelina is still the harpie that broke our Friend Jen's heart. And most American women have to get cancer to treat cancer. Now this has got me thinking......perhaps I should open up my blog to those who might like to post something anonymously. I might need to know who you are, just for the sake of submissions, but I can keep a secret. Please let me know if this is something you'd be interested in by sending me an email to jenannhallblog (at) gmail (dot) com. Oh, and please still feel free to express YOURSELF in the comments. I will happily receive them on behalf of my anonymous friend!